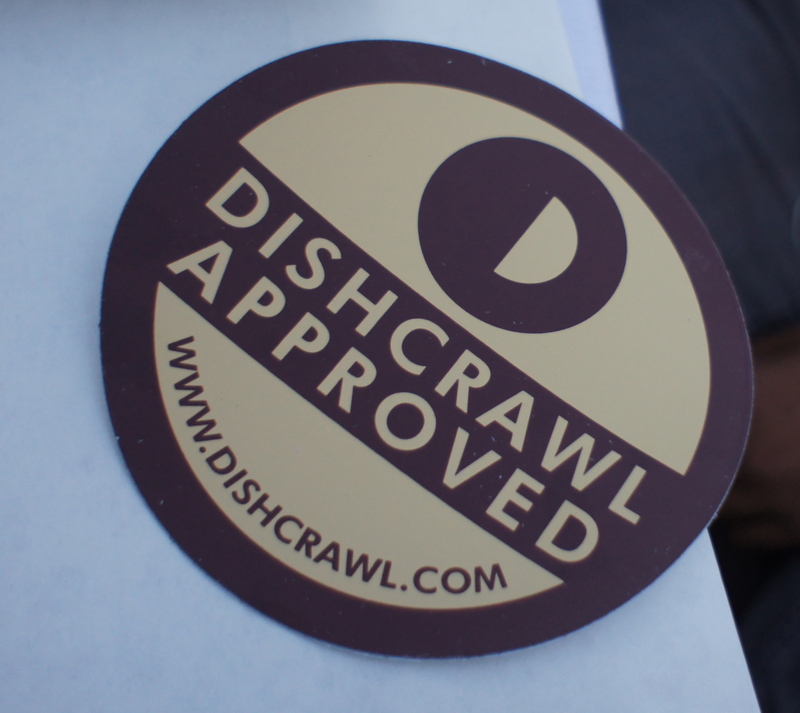 I had a chance to experience Dishcrawl, an event that gets a group of 20-30 people together to experience a group of restaurants within walking distance of each other. This time the event took place in North Park. A few days prior I got an email on where to meet but other than that there were no other restaurants that were disclosed. Yes, I am curious, yet I am the type of person that wants to know where I am going. What the heck, I can do this, i’ll think of this as an adventure. I guess this is where some fun comes in, the mysterious culinary tour. If that doesn’t get you intrigued, I don’t know what will. The actual Dishcrawl lasted about 3 hours. We were invited to come a bit early to meet up with everyone and to have a glass of wine. 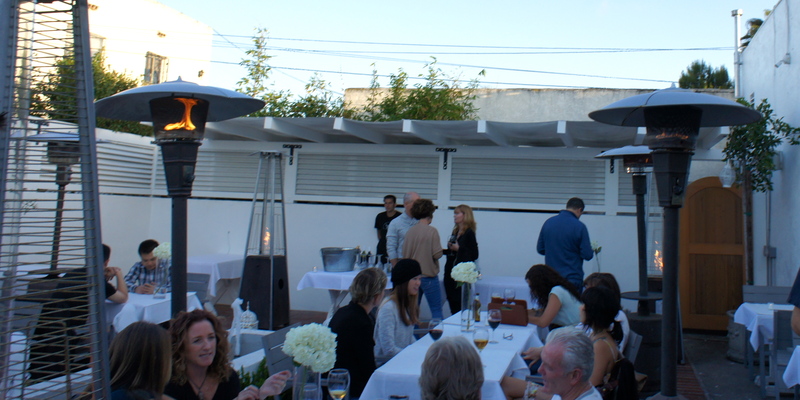 The first stop was the patio at Alexanders on 30th. Alexanders on 30th is known for their all white interior and their Italian food. Pizzas, pastas and salads. They have great happy hour specials and on occasion they play movies outside. This place has a good vibe. I know I’ll be back. The second stop was Sea Rocket Bistro known for their farm-to-table vegetables and sustainable seafood. I had a sampling of vegetarian fare there (I don’t eat fish), but it was really good. I had seitan tacos for the first time. There are several Sea Rocket specials and events listed on their website such as happy hour specials, drink abouts and cooking classes. There are some unique craft beers on their menu. 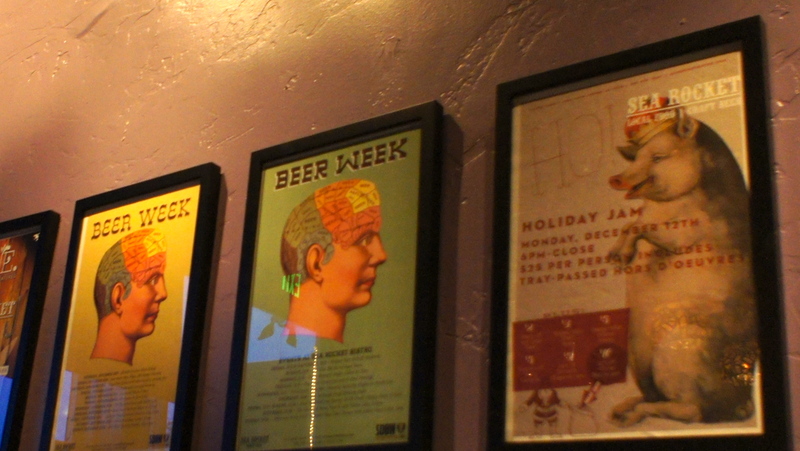 The third stop was West Coast Tavern in the heart of North Park. This is one of the staple bar and grills here in town. They served us a sampling of flat breads and five spiced chicken wings. They are also known for their specialty drinks. 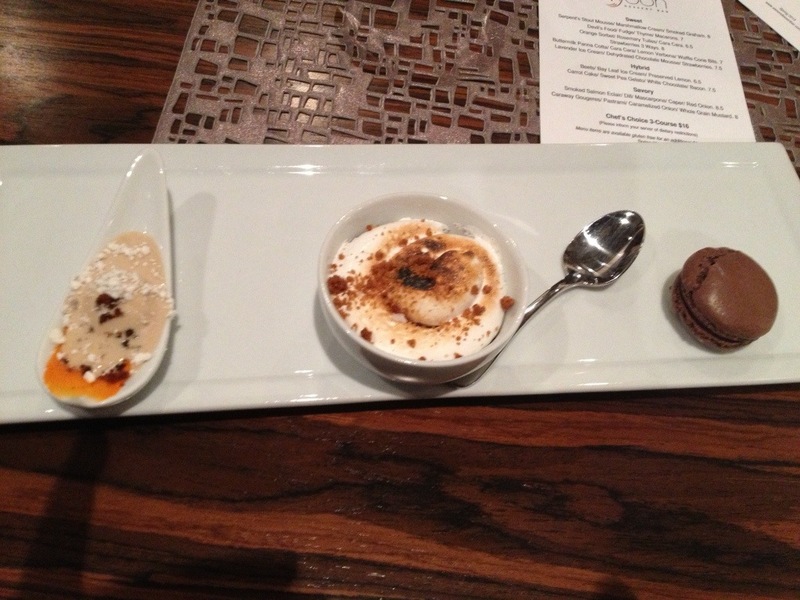 The fourth and final stop was a new dessert/coffee restaurant on the block, Swoon Dessert Bar. Just like the name, you will swoon over the menu items and want to try them all. I was impressed by the simple modern decor and the fact that they have macaroons. We all got to taste this trio of sweets. The chefs were hard at work putting this dish together when we arrived and Lindsay of Dishcrawl, a self-proclaimed Swoon fan, couldn’t stop raving about them, it was pretty infectious. I think I could of started a Swoon fan club right then and there. The great thing about Dishcrawl is that one of the managers and owners will come out and briefly talk about what makes their restaurant special. Some will talk about the origin of a dish, their restaurant concept, the history of the chefs, and what makes them unique. You get the story, ask questions and are able to sample some of their dishes, you may have not other-wised ordered. I recommend that everyone experiences a Dishcrawl. If you like food, people and good atmosphere you will not be disappointed. Read about the dishes we experienced more in-depth on the Dishcrawl blog. 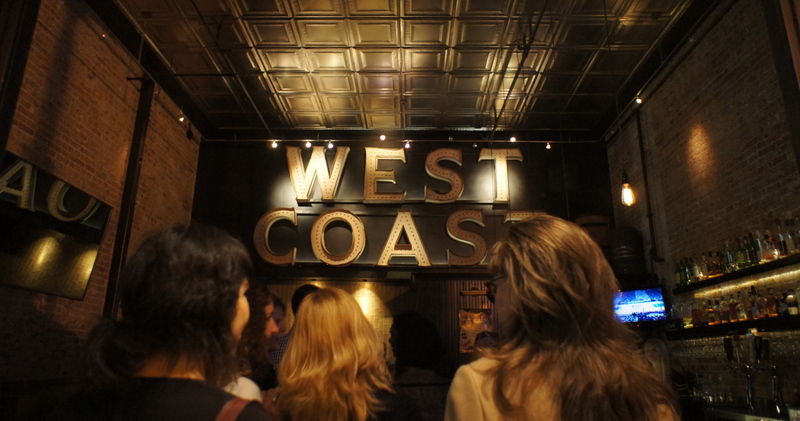 The next Dishcrawl San Diego is slated for June 4th in Little Italy. Get your tickets before they sell out. 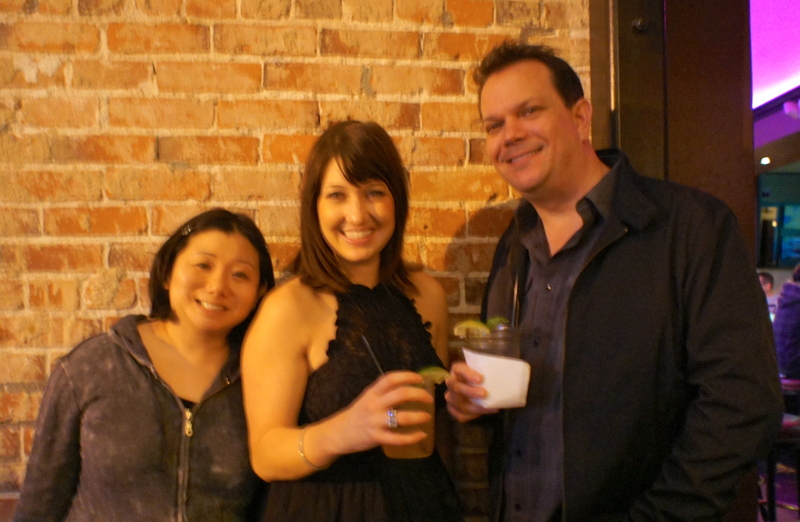 Disclosure: I was invited as a media guest for Dishcrawl.